As per the Aadhar Statistics the Jammu And Kashmir population in 2019 is 13,635,010 (13.64 Millions) as compared to last census 2011 is 12,548,926. 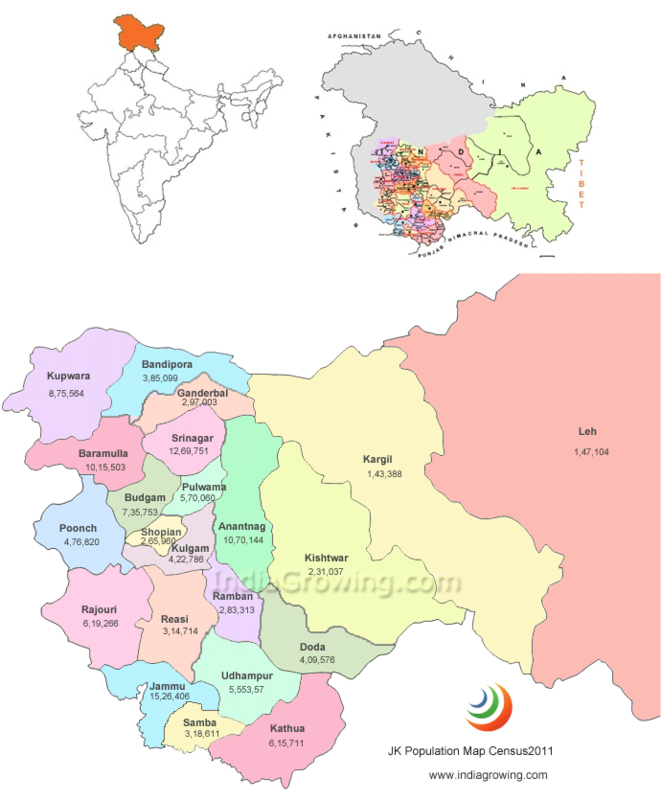 Growth rate of 8.65 percent of population increased from year 2011 in Jammu And Kashmir. till 2018. The Jammu And Kashmir average altitude (elevation) 327 meters above sealevel.